Determining the purposes for which Revelation was written depends, to some extent, on how one interprets the book, on the whole. Because of its complex imagery and symbolism, Revelation is the one of the most difficult biblical books to interpret. The symbolic view maintains that Revelation is not a predictive prophecy, but a symbolic portrait of the conflict between spiritual principles. The preterist1 view [from the Latin praeter meaning "past"] maintains that it is a symbolic description of the Roman persecution of the Church, emperor worship, and the divine judgment of Rome. The historicist2 view approaches Revelation as a panorama of the history of the [Western] church from the first century to the coming Second Advent. The futurist view acknowledges the influence that the first-century conflict between Rome and the Church had upon the theme of this book. It also accepts most of Revelation as an inspired look into the time immediately preceding the Second Coming. Advocates of all four interpretations agree that the book was written to assure the readers of the ultimate triumph of Christ over all who rise up against Him and His saints. The original readers were facing dark times of persecution, and even worse times would follow. They needed to be encouraged to persevere and stand firm in Christ in view of God's plan for the righteous and the wicked. In the book of Revelation, the divine program of redemption is brought to fruition, and the holy name of God is vindicated before all creation. Although there are numerous prophecies in the Gospels and Epistles, Revelation is the only New Testament book that focuses almost exclusively on prophetic events. The book of Revelation centers on the visions and symbols of the resurrected Christ, who alone has authority to judge the earth, to remake it, and to rule it in righteousness. Because of its many complex symbolic images and the varied interpretations of the book, it is not easy to outline. What follows here is a very general outline that seeks to outline the overall divine program of redemption without assigning specific earthly events -- past, present or future -- or trying to fix dates for those events. 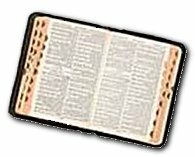 For a more in-depth study of Revelation, I highly recommend the verse-by-verse Commentary written by Pastor Dave Honey. It goes into great detail and yet is quite easy to understand. You may download the PDF version here. PURPOSE: To reveal God's plan for the world. 1:19 "Write therefore the things that you have seen, those that are and those that are to take place after this." 19:11-16 "Then I saw heaven opened, and behold, a white horse! The one sitting on it is called Faithful and True, and in righteousness he judges and makes war. His eyes are like a flame of fire, and on his head are many diadems, and he has a name written that no one knows but himself. He is clothed in a robe dipped in blood, and the name by which he is called is The Word of God. And the armies of heaven, arrayed in fine linen, white and pure, were following him on white horses. From his mouth comes a sharp sword with which to strike down the nations, and he will rule them with a rod of iron. He will tread the winepress of the fury of the wrath of God the Almighty. On his robe and on his thigh he has a name written, King of kings and Lord of lords." Study and write the description of demons given in chapter 9. Daniel was a sealed book (Daniel 12:9). This meant that everything about the future was not to be revealed at that time. 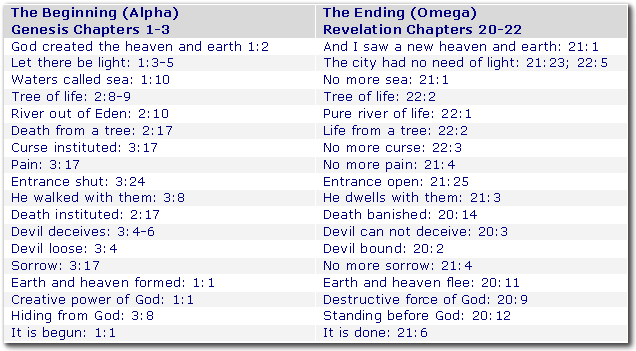 Most of Revelation is an unsealed book (Revelation 22:10). It was written to complete the revelation to man of God's plan. Name of Church: Each church is clearly named. Description: Each message contains a description of the Lord Jesus Christ. Commendation: List the good qualities commended by the Lord. Condemnation: List the faults which are condemned by the Lord. Command: In each message, the Lord gives a command and offers a remedy for the church's problem. Promise: A promise is given to each church to encourage its reformation. The Bible reveals God's eternal master plan. The Old Testament is the preparation for the plan. The Gospels are the manifestation of the plan. Acts and the Epistles are the appropriation [deliberate act of acquiring] of the plan. Revelation presents the glorious conclusion of God's plan. For a more in-depth study of Revelation, we highly recommend the verse-by-verse Commentary written by Pastor Dave Honey. It goes into great detail and yet is quite easy to understand. You may download the PDF version here.